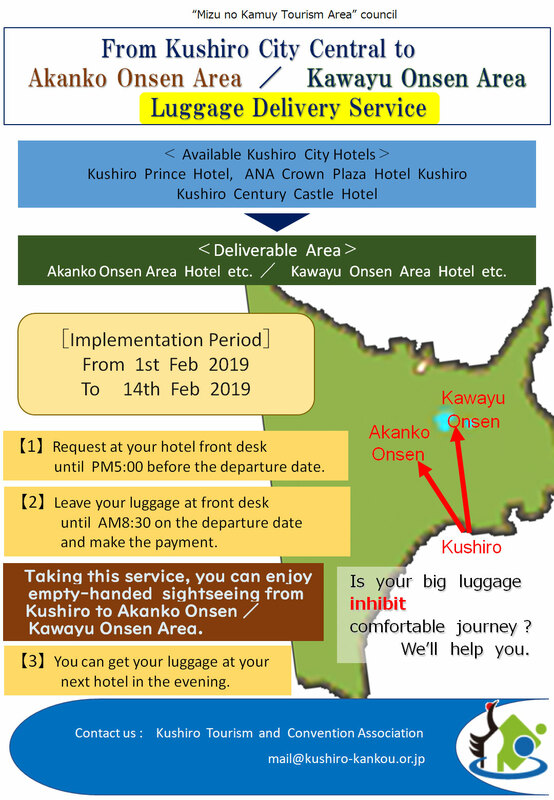 Taking this service,you can enjoy empty-handed sightseeing from Kushiro to Akan / Kawayu Area. 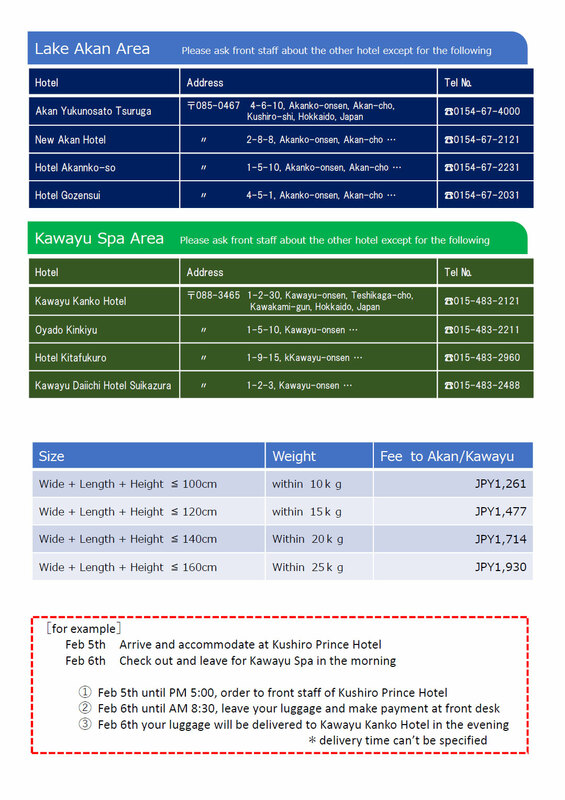 【1】Request at your hotel front desk until PM5:00 before the departure date. 【2】Leave your luggage at front desk until AM8:30 on the departure date and make the payment. 【3】You can get your luggage at your next hotel in the evening.